Snorkeling Trip to Hong Island! 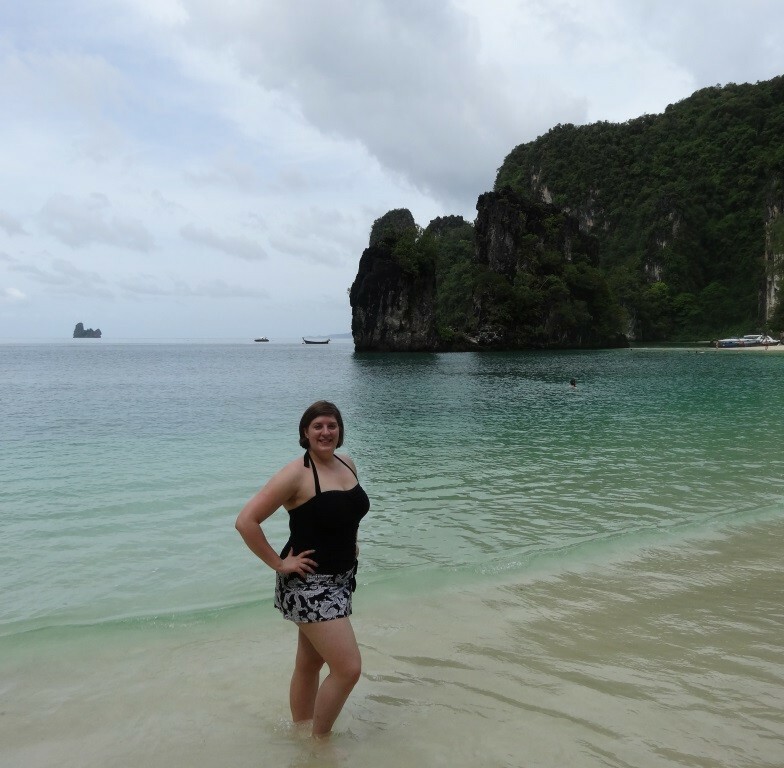 In early July I traveled to Krabi Island for a few days of a much needed vacation. 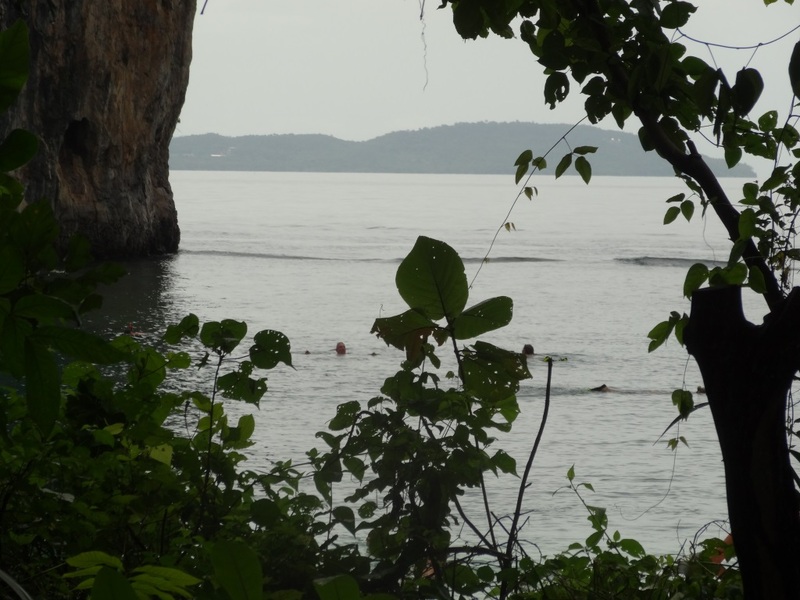 While I stayed on Krabi, I took a few day trips outside of the hotel (more on that awesomeness later), to ride an elephant through the jungle and to snorkel in the gorgeous bay off of Hong island. If you’d like to recreate this awesome trip, you might want to go in a different time of year, as there was only one day I could go to the island, due to weather. I think December to April would be a good time if you want to make sure to avoid any rain. Still, even though it rained a bit while I was there, the whole experience was awesome. It was also nice because the hotel and sites were a lot less full of people than they probably are during high season. For me, any beach any time of year is always a treat, and I didn’t mind the “cooler” 70- 80 degree weather one bit! Our hotel (the Sofitel) arranged for a group of us to take a speed boat from Krabi to Hong. It’s only about a 15 minute trip. Our group was on the island for a few hours, long enough for some snorkeling, a lunch, and some nice laying out in the sun. Hong is actually in a national park and there is a nice walking nature trail as well. If you’d like to take a little more time, there are also kayak trips available, or you could go on an island hopping excursion to hit five different islands in one day. When we first arrived in the morning, the bay was pretty quiet, but different groups came by throughout the day. Everyone seemed to enjoy it, as the bay was pretty shallow waters, and you didn’t even have to snorkel very far to find some cool looking fish! The water was gorgeous and clear, and the beach provided a nice spot to soak in the sun and dry off after swimming. Overall it was an awesome trip! I’ll be posting more later on the elephant ride, as well as a full review of the hotel (which I highly recommend) and its ridiculously awesome pool. 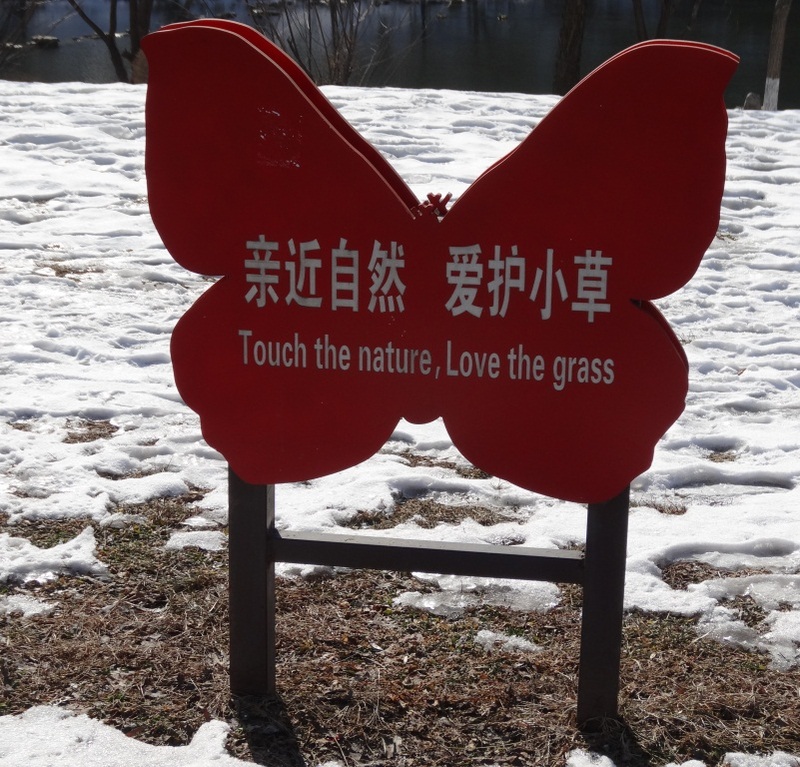 I spent the last week in Shenyang, enjoying some more cold northern China weather, and decided to get outside the city a bit to see what’s out there! 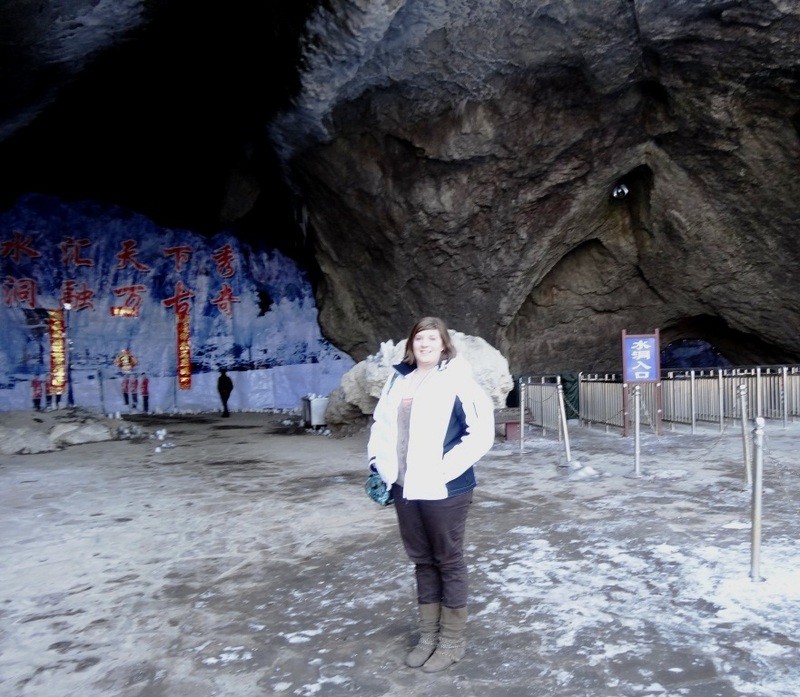 About an hour away is a good mountain for winter sports, but since I’ve already seen the Harbin International Ice Festival, I decided to go see a different nearby site instead- the water caves at the Benxi Shuidong National Park. These caves actually have a river running through them, so you can take boat tour to see the different cave formations (in different colored lighting of course). 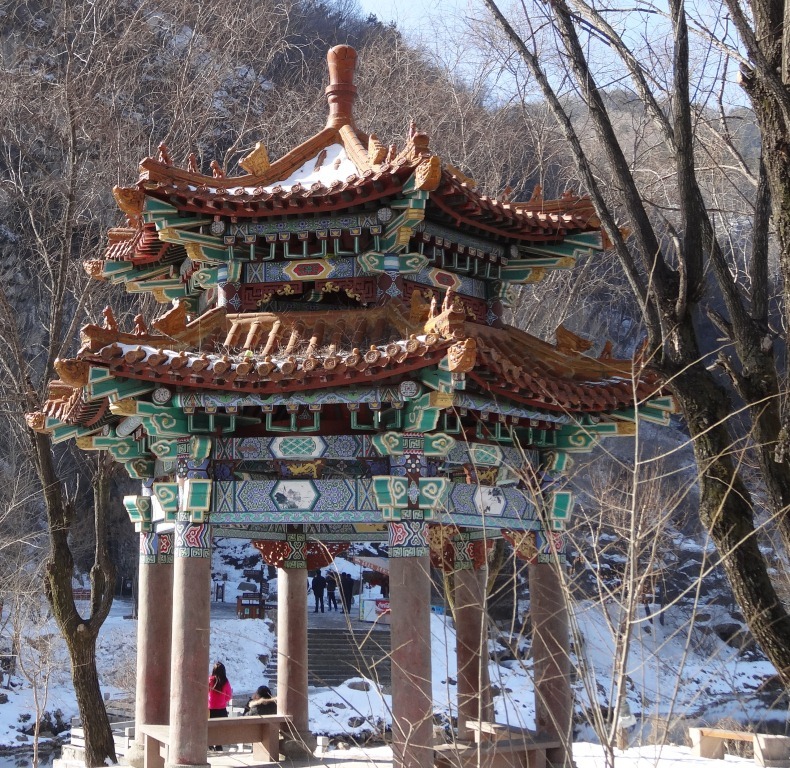 If you ever find yourself in Liaoning, China, it’s worth a stop to go see. Because the park has a lot to offer as far as hiking trails, I suggest going a little later in the year than I did. The caves of course are accessible year round since they stay about the same temperature, but I wasn’t very tempted to walk around outside considering all the snow and ice covering the ground! 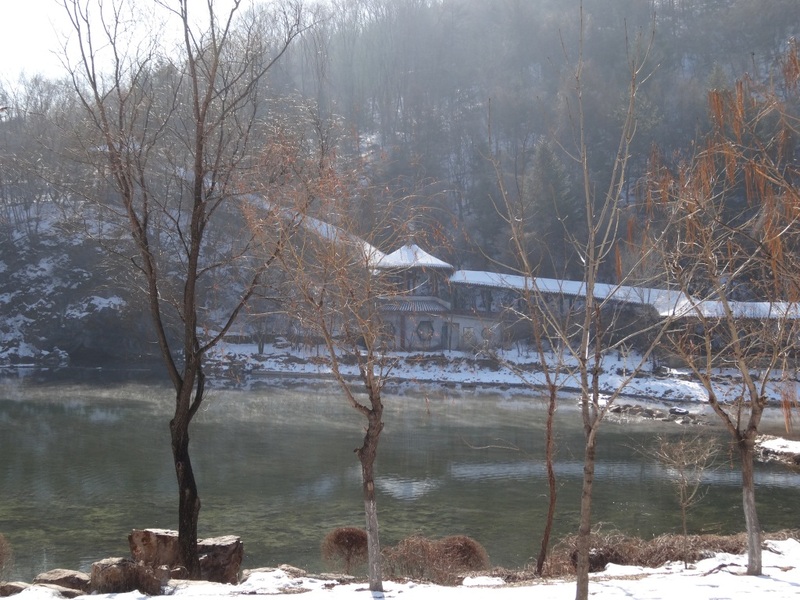 There is a small lake as you walk to the entrance of the caves, as well as a small museum. This is why I think it would be a great spring or summer mini vacation, since there is actually quite a lot to see if it’s not all covered in snow! 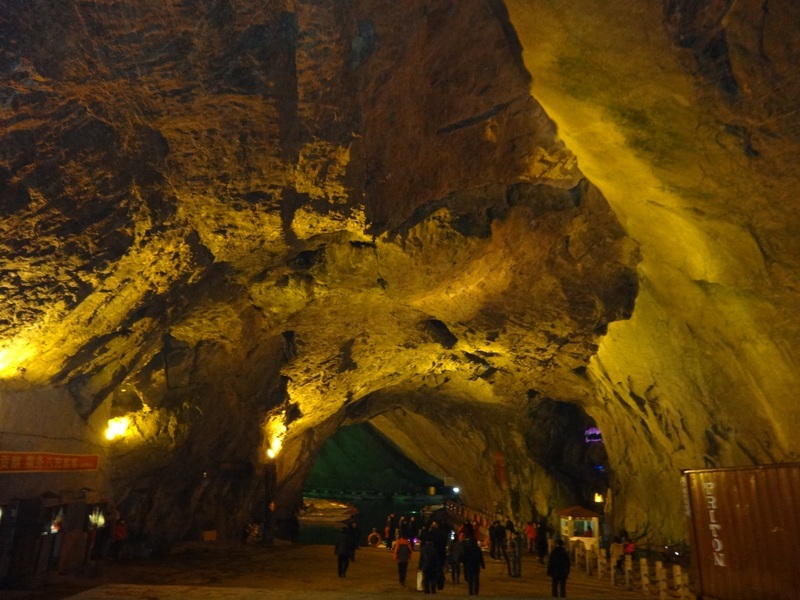 Luckily the visit to the caves required no advance planning on my part- upon entering the park I paid a fee (150 RMB) that granted me entry to the different sites. As I entered the cave, I just joined the line and hopped in a boat! The cave itself was really impressive, as they had installed lights to show many of the different formations. I enjoyed the colored lights, but I think some people might want to see normal lights to get a sense of what the stalagmites really look like. 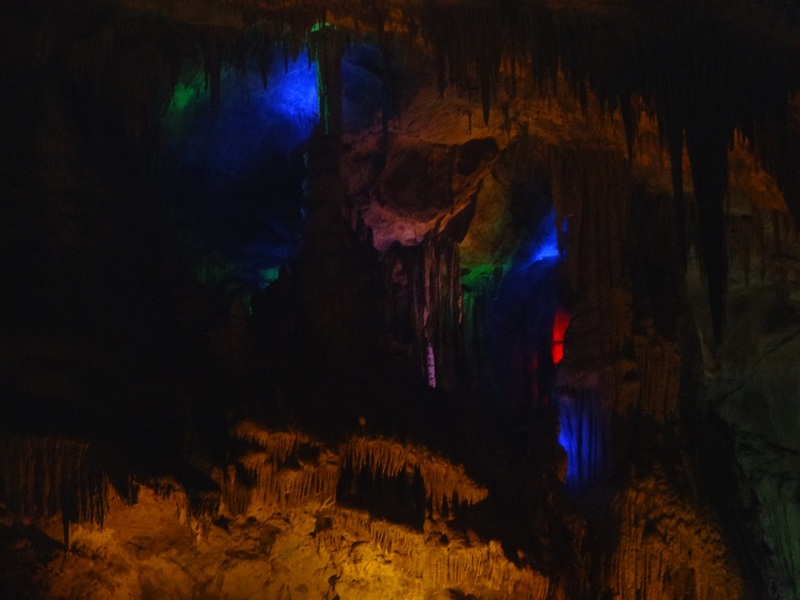 I’ll post a more detailed entry later on what it was like in the city of Shenyang, but I hope you liked seeing the water caves! Next time you go to a park, don’t forget to love the nature there, even if it’s covered in snow.